1. 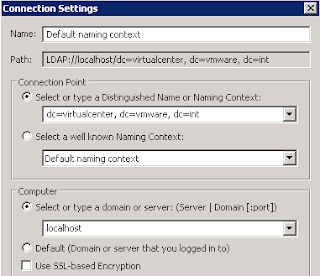 At vCenter Server, log in as Administrator. 3. Right-click "ADSI Edit", select "Connect to". 4. 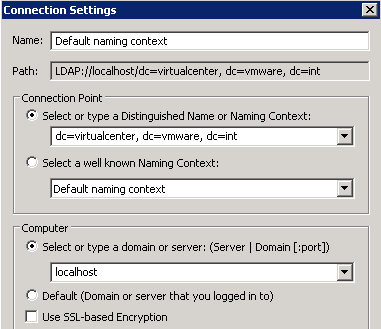 Select "Select or type a Distinguished Name or Name Context", type "dc=virtualcenter, dc=vmware, dc=int". 5. 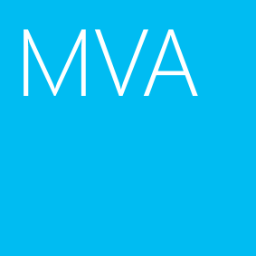 Select "Select or type a domain or server", type "localhost". 6. 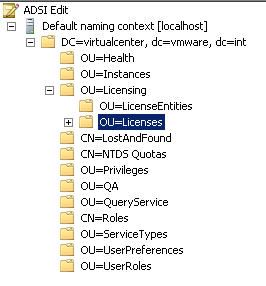 Expand "DC=virtualcenter, dc=vmware, dc=int > OU=Licensing > OU=Licenses". 7. At right pane, you can see the "CN=License key" containers. 8. Right-click the container which you want to delete, select "Delete".